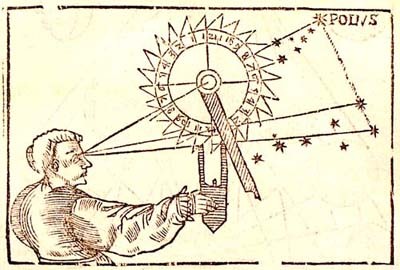 The nocturnal is an instrument developed in the 16th century for determining time at night. It utilizes the Pole star (Polaris) and either the 'pointers' of Ursa Major or the 'guards' of Ursa Minor. 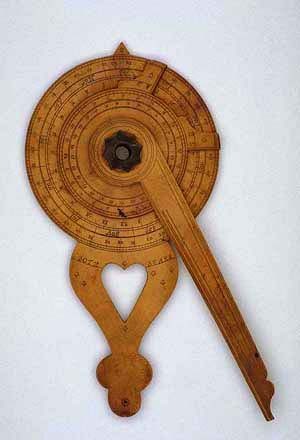 A handheld instrument, it was often made of wood and was widely used on board ships. Some nocturnals, such as that illustrated in Cosmographia, are notched enabling time to be determined in the dark by feel.